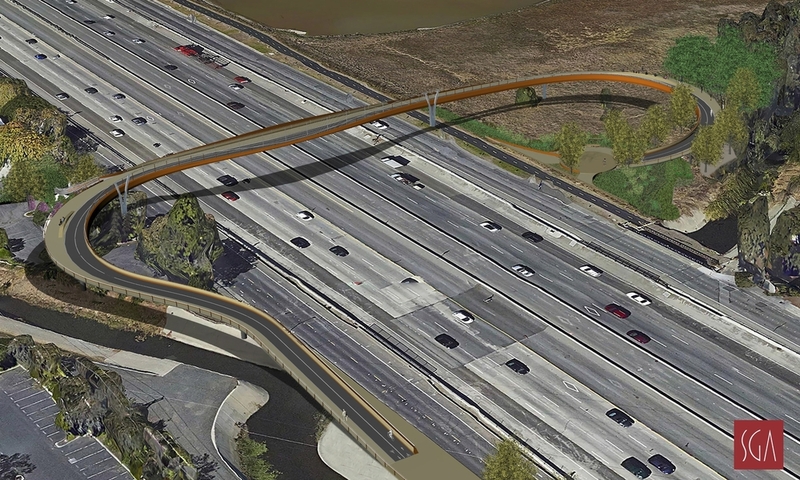 The Palo Alto Adobe Creek Pedestrian and Cyclist Bridge will be a beacon for the Baylands Nature Preserve and will draw attention to this valuable environmental resource and the unique experiences it offers. 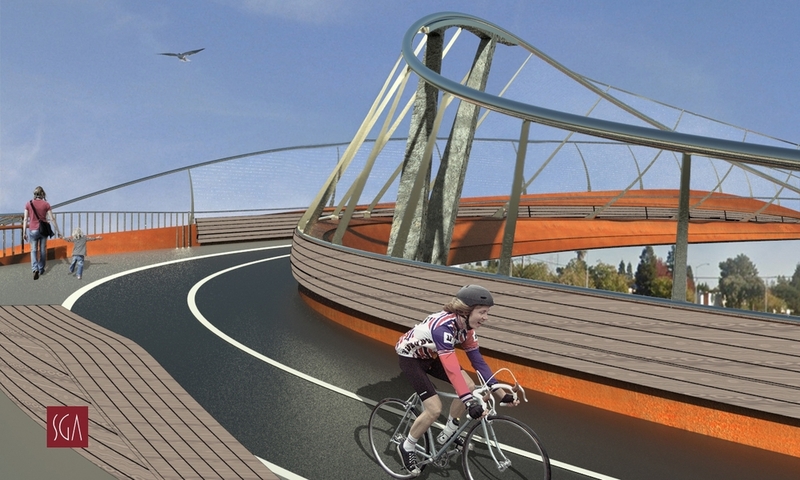 As a link between a natural landscape and the human-made environment, the design’s natural undulating forms float over the baylands and sweep over the highway, offering unprecedented views, and carrying a bit of the baylands experience into the urban streetscape. The innovative structural system is based on conventional steel girders and requires no special detailing or construction techniques. Materials are chosen for long term maintenance benefits and detailed to prevent bird collisions and predatory bird perching spots. Gentle geometry throughout means that all types of users with differing ability levels will enjoy a safe and comfortable experience. The result is a Silicon Valley landmark that is exciting yet respectful of the context, timelessly modern, and cost effective. Status: SGA and Moffat & Nichol team were awarded the project with a unanimous decision (7-0) by Palo Alto City Council on March 16th council meeting.